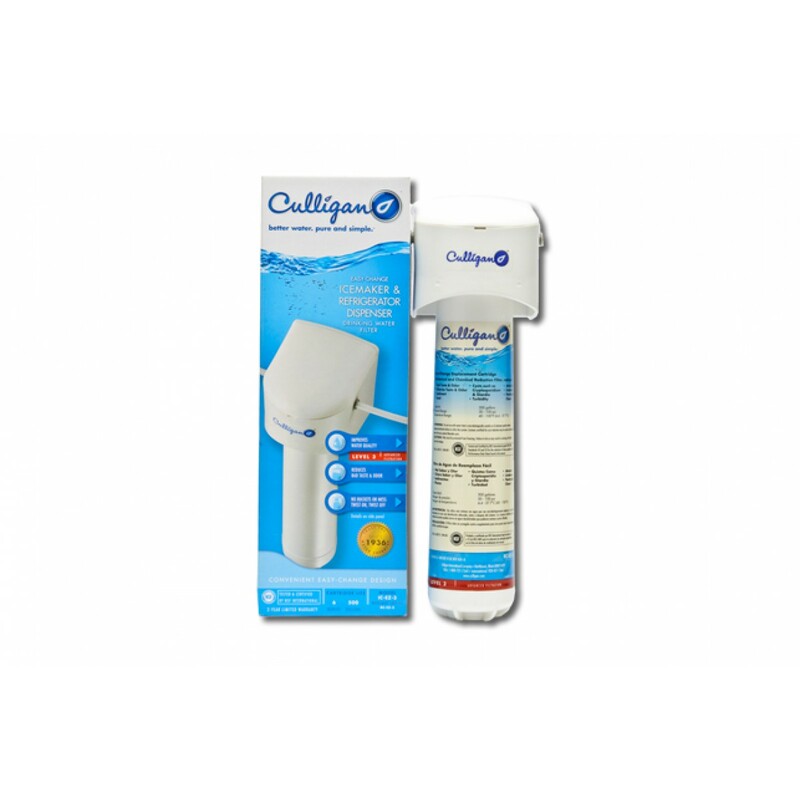 Culligan IC-EZ-3 filter system for installation inline to the refrigerator and icemaker to improve water quality. Produces healthier, better-tasting drinking and cooking water and ice cubes. NSF/ANSI Standard 42 Certified for aesthetic reduction of chlorine Taste and Odor and Nominal Particulate Class 1. NSF/ANSI Standard 53 Certified for the reduction of Cysts, Turbidity, Lead, Lindane and Atrazine. Easy twist-on, twist-off design mechanism that does not leave a mess when changing the water filter. 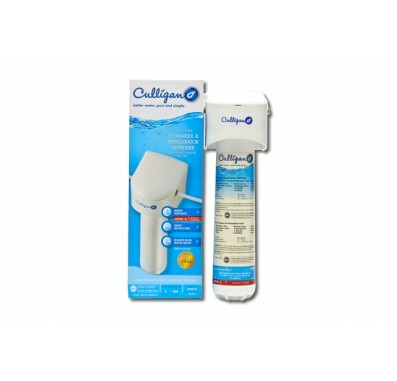 Culligan IC-EZ-3 filter has quick-connect fittings for water filter installation. The replacement filter for the Culligan IC-EZ-3 water filter system is the Culligan RC-EZ-3 replacement filter. The Culligan RC-EZ-3 has a filter life of up to 6 months or 500 gallons. The water filter life will also depend on the quality of your water and your water usage.